ZURICH, Jan. 23, 2019 /PRNewswire/ -- Jet Aviation has augmented its (Fixed Base Operator) FBO in Zurich to support the surge in VIP aircraft and world leaders attending the 49th annual World Economic Forum meeting in Davos from January 22 to 25, 2019. Jet Aviation is handling the majority of head-of-state aircraft and passengers during the meeting, bringing in extra personnel from its other FBO locations and tripling its on-site VIP automobile fleet to help with ground transportation. Each year, leaders in business, politics, academia and the arts flock to the mountain resort of Davos, Switzerland, to discuss matters of global concern at the World Economic Forum (WEF). With most attendees flying into Zurich for the conference, WEF is one of the largest events for Jet Aviation's FBO network. Company officials say it is the most important and challenging annual event for the company's FBO in Zurich. "We are delighted to offer this elite group of leaders a warm welcome to Switzerland and seamless transfer to Davos," says Joao Martins, senior director and GM of Jet Aviation's FBO Operations in Zurich. "Our goal is to exceed customer expectations by anticipating their needs and providing the highest quality of handling services. We begin preparing for the prestigious WEF event months in advance." Jet Aviation's FBO in Zurich became an IS-BAH-registered company in December 2016, receiving IS-BAH Stage II certification in December 2018. Jet Aviation Zurich offers FBO handling and fueling services, and is the only location at the Zurich airport providing Avgas. Located just 15 minutes from the heart of Zurich's financial district, the facility is a convenient entry point for those attending the many international events held in Switzerland. 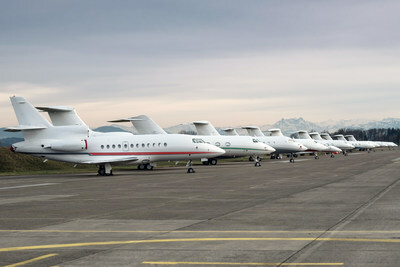 As the market leader and FBO of choice, hundreds of leaders in government and business pass through Jet Aviation Zurich every year on their way to the World Economic Forum in Davos.